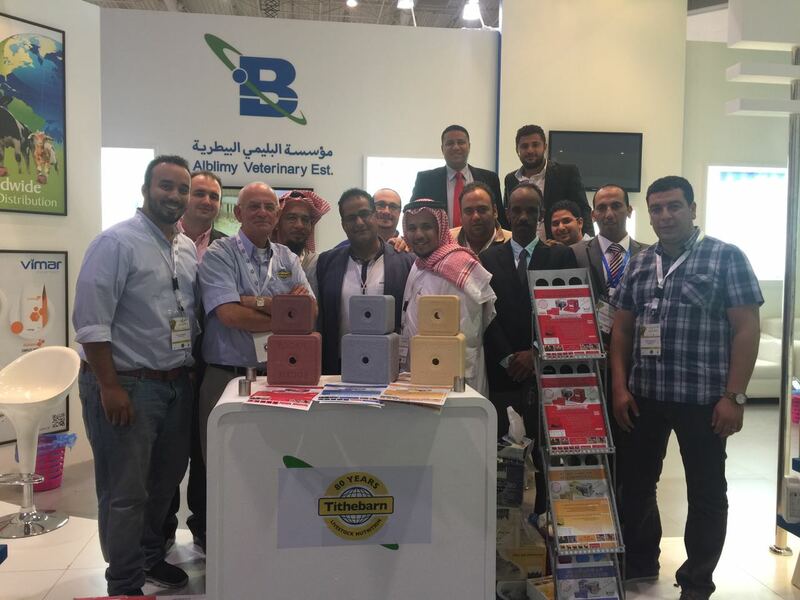 It has been a great pleasure for TithebarnExport to co-exhibit with Abdullah Mohammed Alblimy at the annual Saudi Agricultural Show. Although it is only the second time for Rockies to showbiz at the elite annual exhibition at Riyadh, we are pleased to see a confidently well-established market and promising business opportunities ahead. As a member of the North-West Export Champion team, Tithebarn always take pride in sharing our export stories with our friends and customers home and abroad. We believe in reaching out for opportunities overseas, we also strongly recommend continuous education and training of our existing customers. It is essential that local distributors understand our products and are able to explain the benefit of using Rockies to farmers. This exhibition has been a great opportunity for us to exchange ideas and provide technical support. This year we have focused on the sheep market. Within the Kingdom many millions of sheep are reared and raised every year for food consumption. As the traditional food of the local population, the need to raise animals that can grow at full potential is paramount. Producing healthy lambs that can thrive and be ready for the table as soon as possible is critical to the livestock industry. All this apart from the sheep being the vital cog that can provide meat, milk, leather and wool. Demands at times of religious festivals puts an even greater pressure on the sheep farmer to ensure that his animals are well looked after and ready for the season of high demand. With natural sources of feeding stuff being very short in supply it is hardly surprising that often major mineral deficiencies occur and limit growth and production. Particularly short in the Kingdom appears to be the three vital and essential trace elements of Copper, Cobalt and Selenium. A deficiency of Copper will result in the chronic condition of Swayback with animals suffering from anaemia, slow growth, weak legs and poor quality wool. A lack of Cobalt results in the sheep being unable to synthesis vitamin B12 and the resulting condition of Pine displays greatly reduced appetite, inability to correctly digest food, all of which means slow growth and lack of milk for the lambs. An acute shortage of Selenium leaves sheep weak muscled (muscular dystrophy) and with smaller lambs at birth. 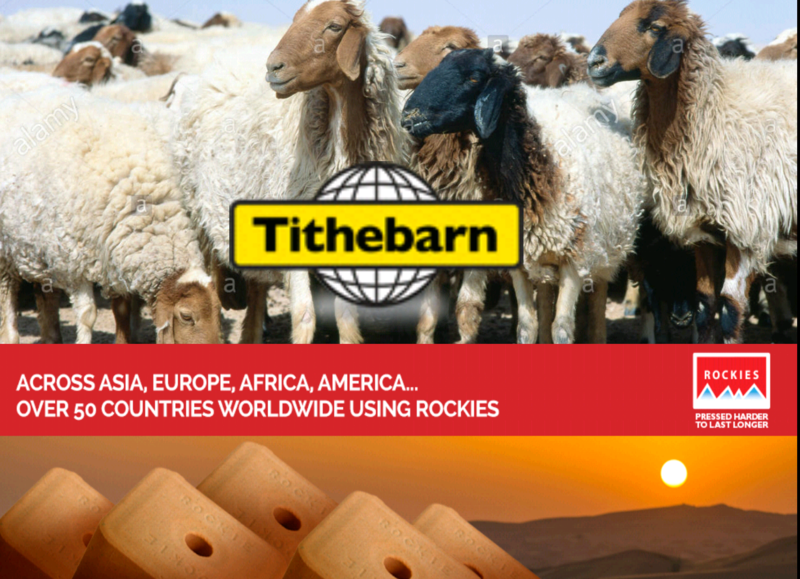 Tithebarn will continue support our customers to fully understand the benefit of using “English” Rockies, sheep business…not sheepish at all! !